Welcome to Written In Wood. A small, one-woman business on a farm in central Illinois that I started when I was 13 years old. 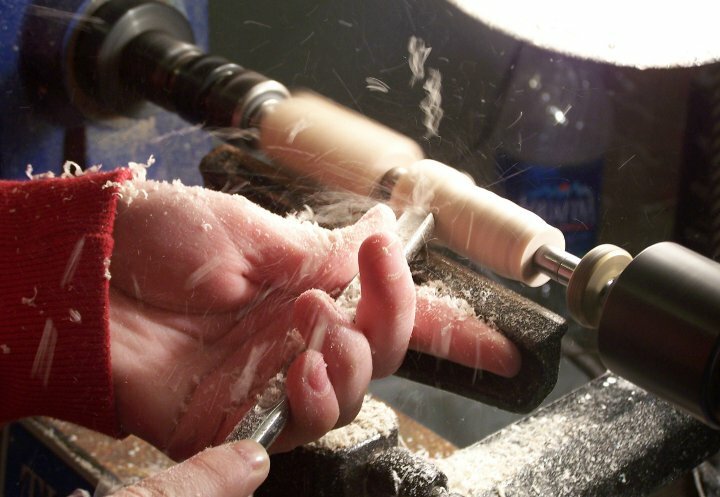 I enjoy woodturning and making pens and other small items out of wood, acrylic, and other materials. I travel throughout Illinois exhibiting and sometimes demonstrating my work at art fairs. Please check my upcoming shows page to see if I'll be at a show near you. Also, please like me on Facebook where I provide show updates and feature new products. I hope you enjoy looking at all my creations on this website. If you have something particular in mind that is not shown or would like to leave a comment please feel free to contact me.